Google has introduced health cards, which can be found as part of the Knowledge Graph. The new feature will provide users with a quick synopsis of a disease, complete with images, symptoms, how critical or contagious the illness is and which age group gets most affected. These health cards rolled out over the last year, starting in the U.S. then Brazil, India was the third country before its release across the web. Googling symptoms or disease-related queries will now give you access more than 400 health cards of common diseases like dengue and malaria. The cards come in PDF format that users can access through iOS or Android smartphones, tablets and desktops. In places with poor connectivity or in the case of slow Internet speed, a "lighter" version of the document will automatically download, says the Google team. Some health-related searches may also throw up high-quality illustrations from licensed medical illustrators, depending on the conditions. The Google team has approached some renowned medical units to get their content verified and reviewed, both in English and Hindi and a few other languages, so as to make them more credible and applicable for the users. 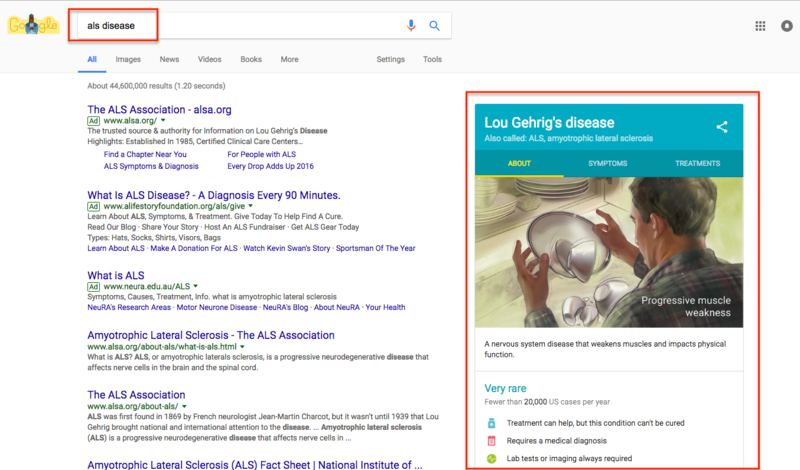 "[We] worked closely with a team of local and international doctors to curate and validate this information," says Prem Ramaswami, Google's senior product manager for search. What information is available on medical knowledge cards? The medical knowledge card will provide users with similar names for a specific disease or ailment, an image, a short definition and a brief overview in the about section. It also houses an additional 2 tabs for information on symptoms as well as treatments. While the knowledge card may not be able to answer in-depth queries it is seen rather as a concluding line. A helpful guide that emphasises that the queries users are leading them down the right track around an overall topic. The cards are not intended as medical advice but are presented for information purposes only, which should then lead the people towards the right medical direction. Google has simply borrowed or rather extended colour to medical queries since its been doing it for movies, tv series, musicians and other entertainment queries for quite some time. 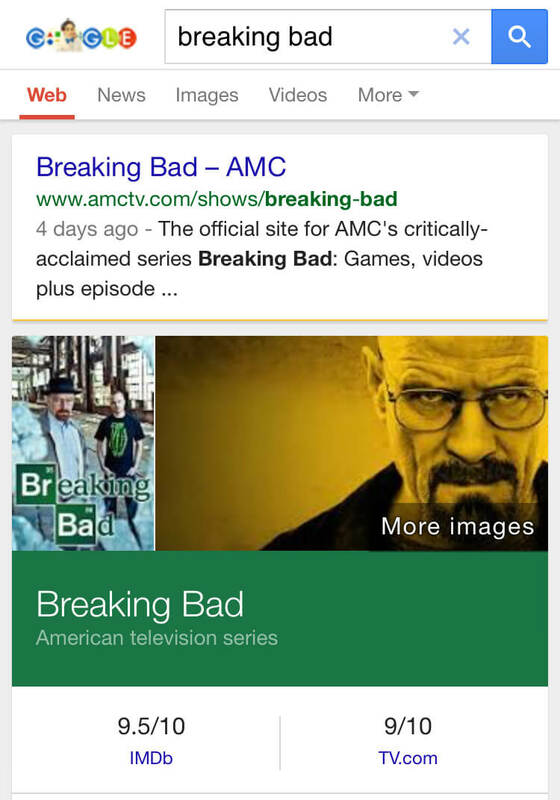 If you search for some queries that may trigger the knowledge graph, when the knowledge graph comes up, it may be more colourful than you remembered, take breaking bad for example. The added some colour to the knowledge graph cards can be seen on both the desktop and mobile search interface. Google is hell-bent on trying to answer users queries faster and faster and the knowledge card along with position 0 have become converted positions that enrich the search experience. As Google sifts through the huge amount of query data it receives daily I have no doubt we will see more categories receiving knowledge cards. As the knowledge cards become more prominent in search it would make sense to add unique indicators like coloured highlights so users can easily recognise knowledge cards of a certain category especially for broad match queries that have overlapping search results.